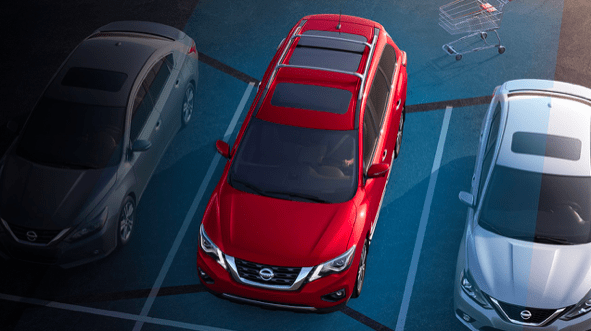 When searching for a roomy, versatile SUV take a look at the 2018 Nissan Pathfinder. This SUV offers 3-rows of seating in an upscale package with V6 power and towing capacity. Safety – Tops safety features including INTELLIGENT AROUND VIEW MONITOR. This camera view makes parking easy. This available system gives you an on-screen heads-up when it detects moving objects near your vehicle. This is system will save you from backing over a person, items or even a shopping cart. Entertainment – TRI-ZONE ENTERTAINMENT – Up front, the driver and passenger can enjoy music. Second-row passengers can watch movies, play video games, plug in a laptop, all on dual 8.0″ monitors, or listening on two wireless headsets. You can mirror a compatible smartphone or tablet using the HDMI inputs. The entire system can be controlled through the touch-screen display on the dash. 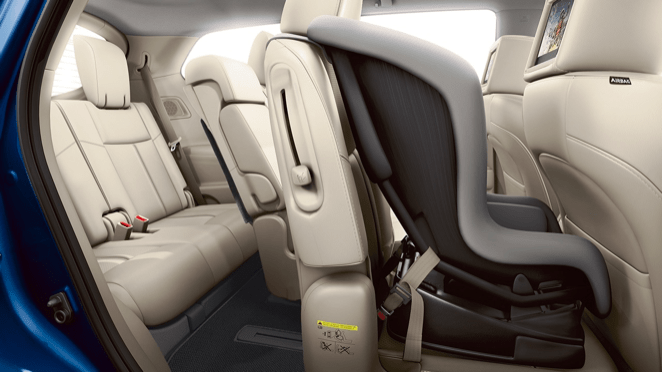 Easy Access – LATCH AND GLIDE TECHNOLOGY Nissan Pathfinder is incredibly family-friendly. With its LATCH AND GLIDE technology, you can easily tilt and slide the right side of the second row – even with a child seat securely strapped in – to make for easy entry into the third row. This is a positive asset for families on the go. The 2018 Nissan Pathfinder should be on the list for shoppers looking for a large crossover.